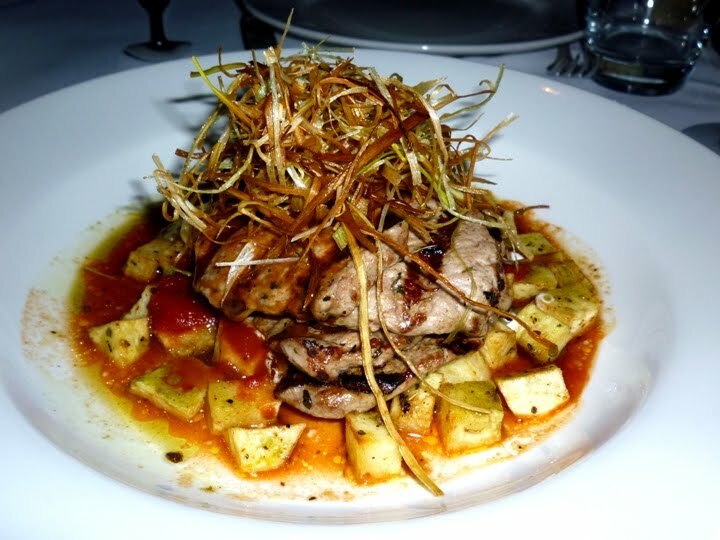 Had dinner at Efendy in Balmain on Friday – Loved it! Somer the owner was very friendly, generous and of course knew his Turkish stuff. Food was fantastic, very interesting and tasty dishes, all with a heartwarming feel to them. 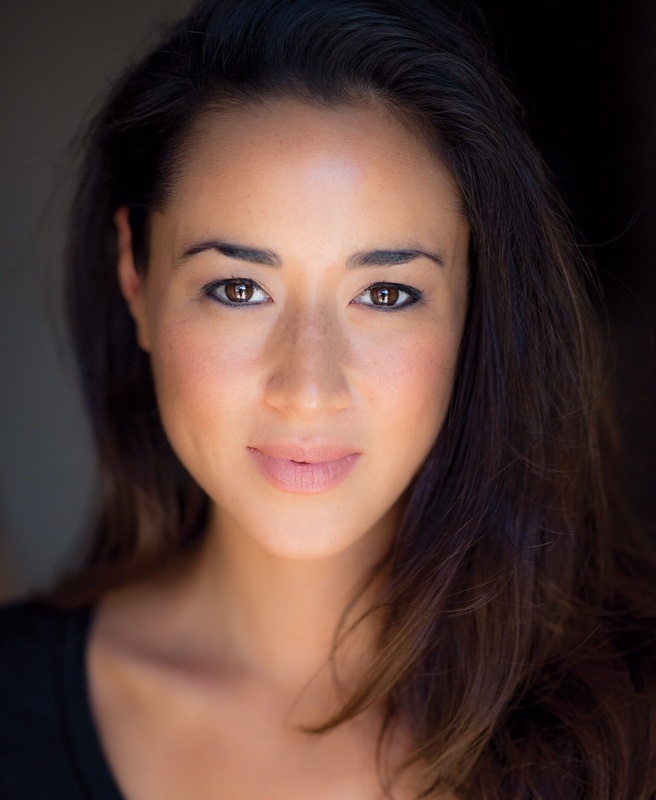 The restaurant itself was lovely too, as was the service – warm, professional and attentive. You walk into the spacious courtyard area where you can sit outside on a nice day, and see the Efendy bar on your right, and then walk into the multi-level restaurant with authentic decor all around. At the “Mey” Efendy bar you can enjoy cocktails with a Turkish touch, aperitifs, digestives, cigars and a variety of boutique European and Australian wines by the glass before or after your dinner at the lower floor. 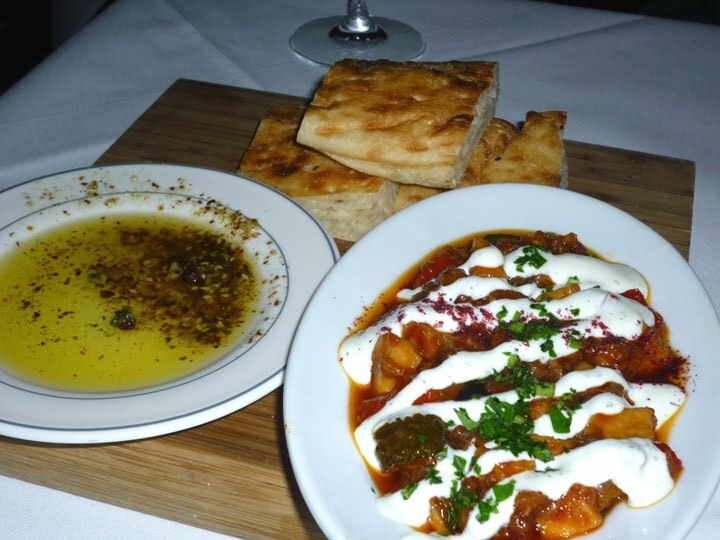 First up on Friday was Turkish bread, Olive Oil and Dukkah, along with Saksuka – Traditional sauteed potato, zucchini, eggplant with mint yoghurt. Turkish bread was excellent texture, moist and tasty. Saksuka was delicious combination, great starter especially when drinking. Also had some Beef medallions sprinkled with Spring Onions on something really nice containing egg, mayo and onion. 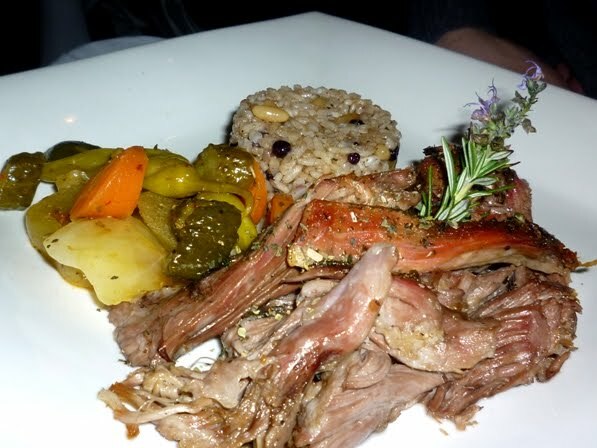 Main dishs: Kuzu Tandir – 7 hour brasied Bultarra Saltbush Lamb shoulder, aromatic baldo rice, currant and pinenuts pilaf, pickled winter vegetables. Everything yum, aromatic rice was lovely, lamb cooked well but not overdone or dry at all. And another meat dish (couldn’t remember the name), but equally delicious with yoghurt, potato and spices underneath. 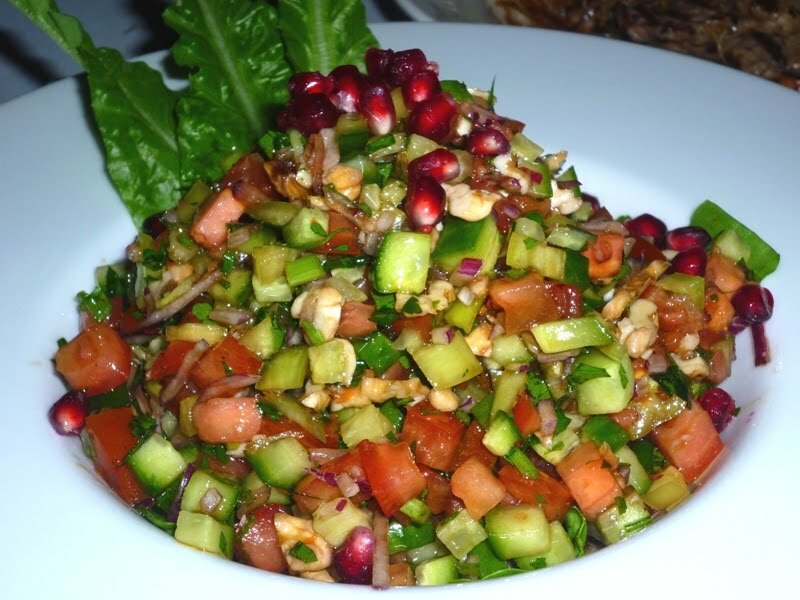 Accompanied by Ahirdagi Salata (pictured) – Finely chopped salad of tomato, herbs, cucumber, red onion, walnuts, pomegranate… Quite refreshing, but also brought out the flavours of the main meals. Pomegranate was a lovely addition, giving astringency from the fruit with a subtle hint of sweetness – Perfect with meat. 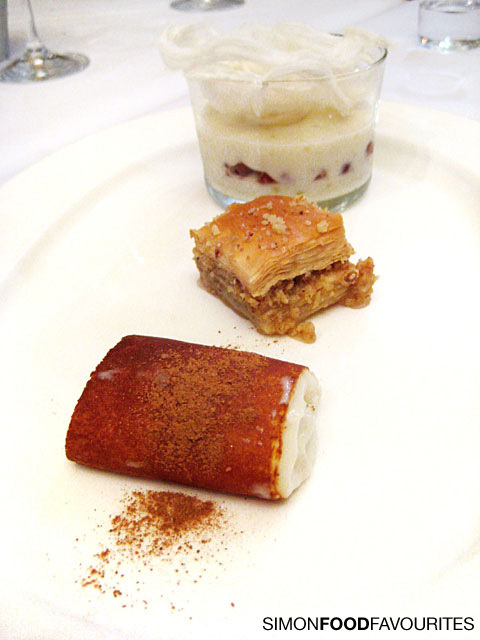 Dessert (picture courtesy of SimonLeongDesign) – consisted of Burnt Cinnamon Mastic Pudding, Nut Ice cream and Turkish Fairy Floss, which is slightly thicker and heavier than normal machine-at-a-fair fairy floss – really nice! Ice cream was Delish! Nutty and delicate (not pictured). Mastic Pudding was very interesting, thick, gum-like texture, that just dissolved in the mouth, really enjoyed it. Also accompanying was Strawberry Pomegranate tea – I was slightly skeptical at first thinking it would be sweet and sugary, but it wasn’t. Really delicate astringency with the strawberry flavour. Will be back for sure! glad to hear you enjoyed the dishes. i remember the lamb being so good. really miss it. i've been quite a few times now but have still yet to step foot in that bar downstairs. hopefully next time 🙂 thanks for the links! Fantastic! You have made me relive my experience at Efendy a month ago. Food was absolutely stunning. I really want to go back to try more food. Good to hear that you enjoyed your meal there.